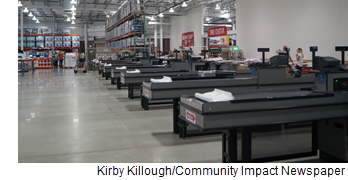 ​ ​PFLUGERVILLE – Costco's door are open at 1901 Kelly Ln. The wholesale retailer’s Pflugerville location features more than 150,000-sf of warehouse, retail, and restaurant space. A gas station is also situated on the lot.